Sleep deprivation can have an adverse affect on both kids and parents. As a parent or anyone who has spent time with young children, you know that when they get tired, they can get a little cranky. Although adults may not like the comparison, they too get a little irritable when they are sleep deprived. A lack of sleep can make kids and adults accident prone as well as making it difficult to concentrate at school or at work. Here are several things to look at that can help your whole family get a good night's sleep each night. It's difficult to relax and feel a sense of calmness in a cluttered bedroom. Clearing the clutter and simplifying the décor can make the bedroom a more pleasant sleeping area. Some experts suggest that a bedroom be painted in soothing colors that encourage sleep. It's also difficult to sleep soundly in a room that is either too hot or too cold. Experts suggest that the ideal temperature for sleeping is 65 degrees. If noise prohibits kids from going to sleep or sleeping soundly through the night, a white noise machine could resolve that problem. A good mattress is essential to good sleep. It's worth investing in the best non-toxic mattresses for everyone in your household. 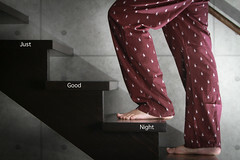 Memory foam mattresses and those with heat dissipating gel can provide a comfortable sleeping area for kids and adults. In addition to a comfortable, supportive mattress, everyone should have a high quality pillow on their bed. Having the whole family establish a pre-bedtime ritual can help everyone go to sleep faster. This routine should start at the same time each evening. Keeping the same bedtime and wake-up time throughout the week and weekend is beneficial to the family. For everyone's benefit, you should set a technology curfew. Some studies show that watching television, using a laptop, or playing electronic games is not a good pre-bedtime activity. Bath time, followed by story time, is a good ritual for the kids. 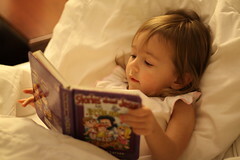 Reading prior to bedtime is also a good way for teens and adults to relax. When every family member gets a sufficient amount of sleep, there's likely to be less conflict among siblings and less stress for parents.